The early impressions of Captain Marvel have started to hit the Internet. One of these impressions teases its link to Avengers: Endgame. So, let’s talk about what Captain Marvel post credits scene is all about. How Does Captain Marvel Tie-Into Avengers: Endgame? It’s probable that you’d have seen some early impressions of the film in your Twitter, including some of the post-credit scenes. LA Times’ Sonaiya Kelley teased recently how these end scenes tie into the forthcoming blockbuster Endgame. However, first, she gave some general impressions of the prequel. Kelley continued with more thoughts, coming up with those two post-credits scenes. “By pre* I mean before the movie starts! Though there are two post-credits scenes that are worth staying for and the anticipation for ENDGAME is definitely stoked by this film,” Kelley wrote. Captain Marvel: What can you expect? Captain Marvel to release soon. Now, how it comes together remains to be seen. Since the film will be taking place in the past, it could end up showing something happening before Avengers: Infinity War. We expect it to show something post Thanos’ Decimation. Or it might be something similar to what we saw in Ant-Man and the Wasp, where characters are lost to Thanos’ snap. We can also see Carol seeing Fury’s pager signal and coming all the way to Earth. All questions will be answered soon enough when Captain Marvel hits the theaters on March 8th. 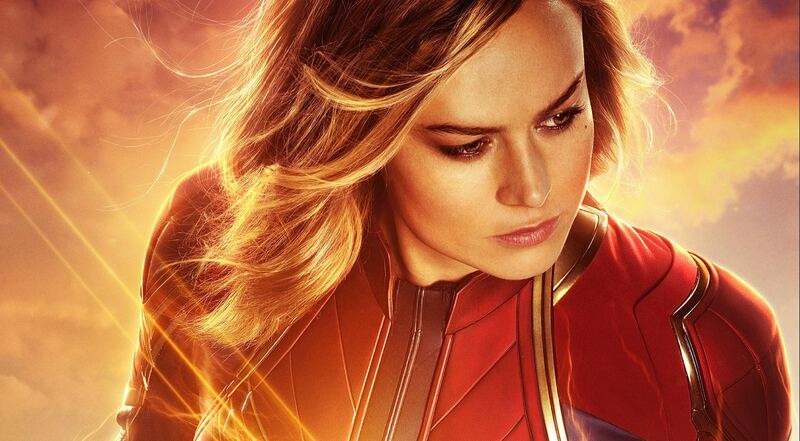 Captain Marvel cast includes Academy Award® winner Brie Larson (Carol Danvers/Captain Marvel), Samuel L. Jackson (Nick Fury), Ben Mendelsohn, Djimon Hounsou (Korath), Lee Pace (Ronan), Lashana Lynch, Gemma Chan (Minn-Erva), Algenis Perez Soto, Rune Temte, McKenna Grace, Kenneth Mitchell (Joseph Danvers), with Clark Gregg (Phil Coulson), and Jude Law.